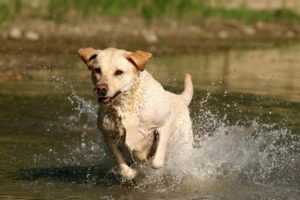 Other dogs may also carry fleas, which can jump onto your own dog during play. 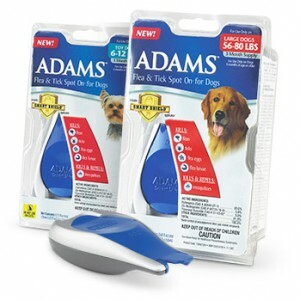 Protect your furry friend with Adams Flea & Tick Spot On for Dogs, a monthly preventive that kills fleas, flea eggs, flea larvae, and ticks for up to 30 days. Apply a flea and tick Spot On topical treatment, such as Adams Flea & Tick Spot On for Dogs, a week or so prior to the outing. Continue to protect your dog by applying this treatment on a monthly interval. Hiking is one of the healthiest forms of exercise for both people and dogs. What’s more, taking part requires no fancy equipment or major expense. When a dog walks, he or she strengthen various muscles and experiences an increase in heart rate, a basic requirement of any cardiovascular activity. 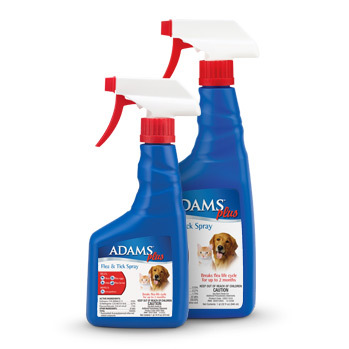 As with other outdoor activities, make sure that your dog is wearing a flea and tick preventive, such as Adams Flea & Tick Spray. Do not use multiple pesticides simultaneously; follow package-labeling instructions carefully. This mist kills and repels fleas and ticks, as well as kills other hiking hazards such as mosquitoes. Visit us today at Farmers Coop and Noah’s Pet and Wildbird for Adams products as well as pet supplies, food, treats and toys to ensure you and your canine friend always have fun outdoors! This entry was posted on Monday, April 9th, 2018 at 9:03 pm	and is filed under Dog. You can follow any responses to this entry through the RSS 2.0 feed. Both comments and pings are currently closed.